The Army plans to modify its fitness tests for the first time in 30 years to make sure all soldiers have the strength, endurance and mobility for battle, adding exercises like running an obstacle course in full combat gear. The United States Army is changing to a more combat task-specific fitness program for the first change in 30 years. The goal is to align the training and the tests with tasks that Soldiers are required to perform on the battlefield. For example, replacing the 2-mile run, is a running obstacle course in full combat gear — a task that puts more load on the anaerobic energy system. Also, for the first time soldiers will drag a drag a body-weight dummy — similar to a task known as the ‘rescue drag’ that is in the Candidate Physical Ability Test that is used for firefighter fitness tests. A new technique exercise, known as the military rower. There are two proposed tests; the Army Physical Readiness Test (APRT) and the Army Combat Readiness Test (ACRT) aligned with Army Physical Readiness Training outlined in Training Circular 3-22.20. The training was implemented Army-wide last August providing exercises, drills and activities appropriate for various levels of physical fitness. TRADOC is also recommending Soldiers take the ACRT, which incorporates warrior tasks and provides a more accurate assessment of the physical readiness training program and the Soldier’s individual capability. 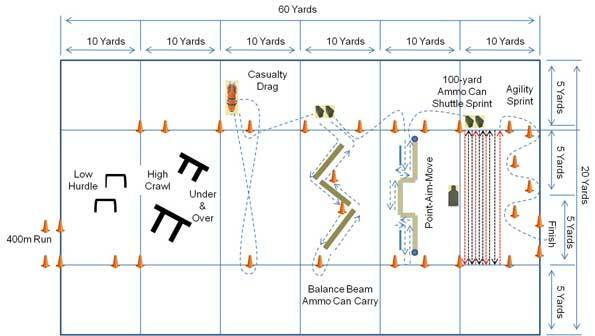 The ACRT will be executed in the Army Combat Uniform, Advanced Combat Helmet, and weapon, and includes a 400-meter run, hurdles, a high crawl, casualty drag, sprints, and several other movement drills. The Army will begin pilot testing at approximately eight locations with multiple units in order to set standards. The pilot currently plans to align age categories for the test scores with the American College of Sports Medicine and Cooper Institute, broadening age categories to under 30, 30-39, 40-49, 50-59, and 60 and above, for both genders. No exact details on alignment available. Technique photo for the new military rower — part of the new APRT. 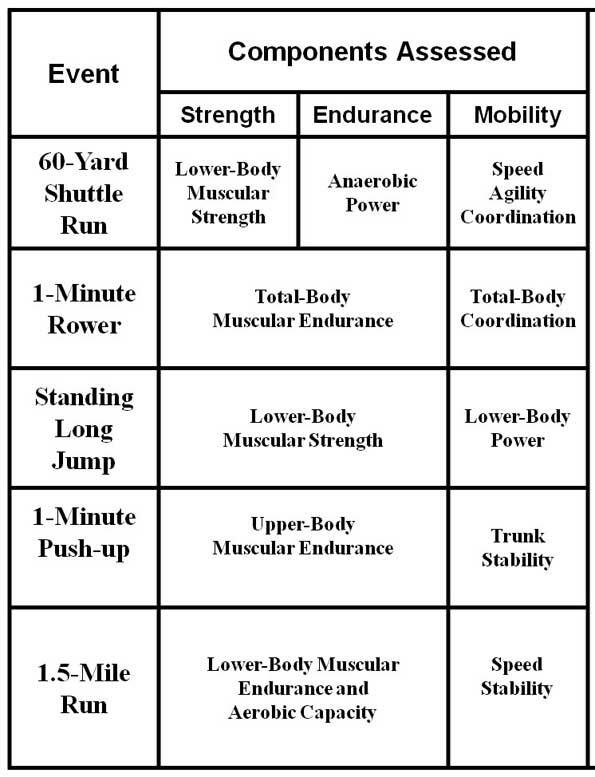 Army Physical Readiness Test (APRT) table. 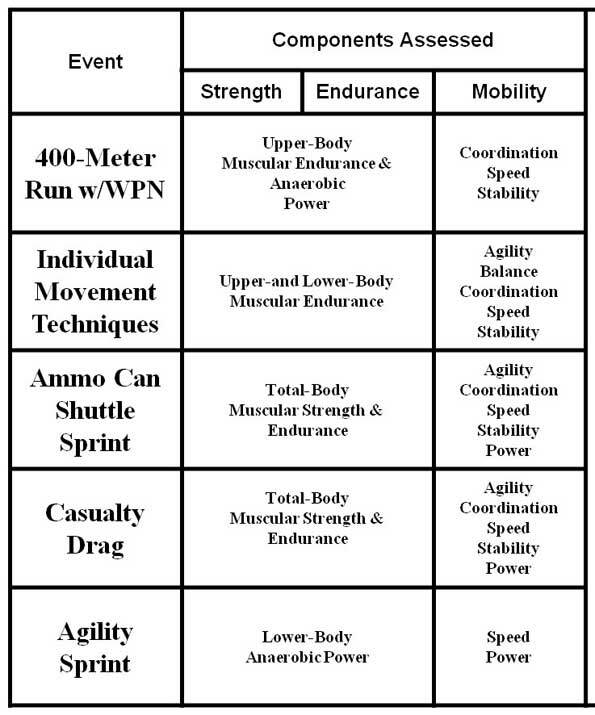 Army Combat Readiness Test (ACRT) table. New Army Combat Readiness Test (ACRT) course. The information is based on recently released information from the United States Army, and is subject to changes as it is better comprehended. It may also be changed due to revision, as the test is in the pilot stage as of the time of publishing this article. TRACDOC — Established 1 July 1973, the United States Army Training and Doctrine Command (TRADOC) is an army command of the United States Army headquartered at Fort Monroe, Virginia.